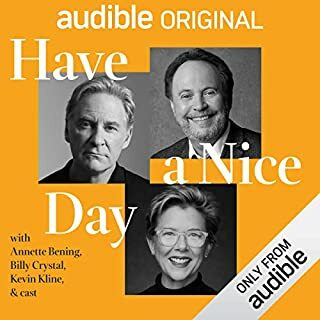 This “free” Audible Original was an okay listen. Okay, but nothing spectacular. I did like the full cast recording and a pretty good job was done there. It was a little difficult to follow as to who was who and who was saying what, particularly with the female characters who kind of all sounded the same. I did develop an affinity for some of the younger characters, in particular the two young men. Also, a fairly strong dislike for the somewhat psychologically disturbed young daughter. Not a bad thing, as developing a strong feeling for a character, good or bad, to me is a plus in terms of a positive rating. 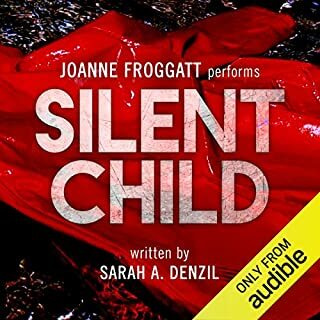 Additionally, the character with a hidden psychological disturbance is one of my favorite types of characters, and usually makes for very tantalizing listening (!). I thought the ending was somewhat of a letdown, kind of blurry to me. I had to listen to the last installment several times, and still felt sort of hanging for some reason. I definitely expected more from this listen and, while not a complete waste of time, not necessarily the best use of time either. This book started out well and I was really looking forward to a good story. The story was okay, but there were lots of boring parts, long descriptions going on and on about secondary (or not even) characters that were somewhat irrelevant and I completely did not care about. There were redeeming aspects, such as the story line about the big cats which was good and did hold my interest. However, it was somewhat of a struggle to get through and, while I did listen to the end, I believe listening should be enjoyable and not a struggle. Therefore, I would not recommend this book, would mark it as more or less a waste of time, would certainly not listen to it again, and most likely would not seek out other books by this author. Little Little La Belle isn't redundant. She's a dwarf - a beautiful blond heiress who lives a pampered existence in the New York town named after her family. With her 18th birthday approaching, her parents want to marry Little Little off to the perfect man. Enter Sydney Cinnamon. Orphaned young, he went on to become one of America's most famous dwarfs. The pint-size TV performer could have his pick of any diminutive lady. But with Little Little, it's love at first sight. This author is a hidden treasure who does not seem to have gotten the recognition she deserves. I have read a couple of her other books (the “Shoebag” series) which, while aimed at more of a middle grade audience, were also very well done. Speaking of treasures, I am always excited to find special treasures in the “Romance Package” of which this is one. 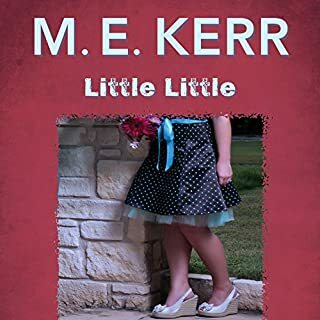 This little listen is filled with irreverent quirky characters from the world of “little people”, completely non-PC, and more power to it for that! The ending is perfect, just perfect, and the narrators are supremely awesome! 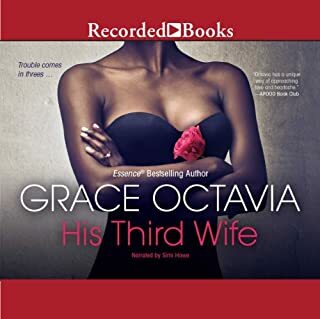 I notice there are a number of other books by this author on audio (many in the Romance Package as well, yay!!) and I will be seeking them out. Would I recommend this book? Yes, yes, yes, oh yes!! This book was pretty good, quite engaging, and kept me guessing throughout as to who had done what. I was disappointed in the last few chapters, though, through to the end which I thought was weak and somewhat convoluted. I am always disappointed when a pretty good book kind of falls apart at the end, as was the case here. Oh well. The narrator was fine. Not great, but definitely appropriate to the story. Her British accent definitely a big plus! I don’t know that I would necessarily recommend this book due to the frustrating and unsatisfying ending. A secret dark past and a string of messy affairs haven't stopped self-made millionaire Jamison Jackson from becoming mayor of Atlanta. But while he may have a gorgeous new wife and new alliances, he can't quite escape his past and those who want to see him fail. There's his jilted first wife, a lover he'd rather forget, and a ruthless faction of old guard politicians and power lords who have no problem getting blood on their hands. And the fact that Jamison's ambitious current wife, Val, schemed and blackmailed her way into his arms - despite his mother's not-so-subtle warnings - is far from the least of his problems. This was a good story, well written and pretty entertaining. 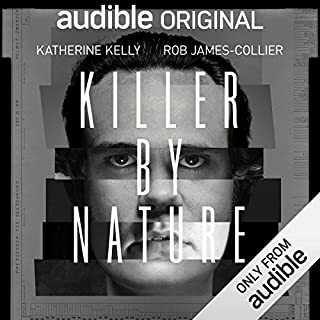 It was so, SO funny in the beginning, with multiple punchlines delivered impeccably by the narrator, that I must admit I was a little disappointed that the hilarity did not continue all the way through. Nonetheless, it was a good listen, with a good number of surprises and a pretty solid “feel good “ ending amidst somewhat tragic circumstances. 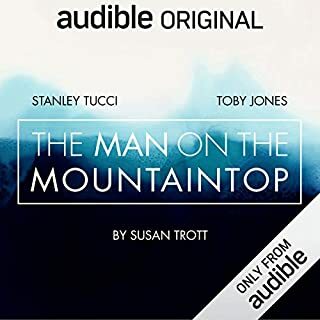 I enjoyed the narrator who has a very good reading voice and excellent timing! I will say I was a little concerned about the very, very, VERY long pauses between paragraphs and chapters which continued throughout the book, so much so that I often had to check to make sure my player was still working!! Barring that, great Kudos to Simi Howe for a job well done!! 3 and 1/2 stars really. 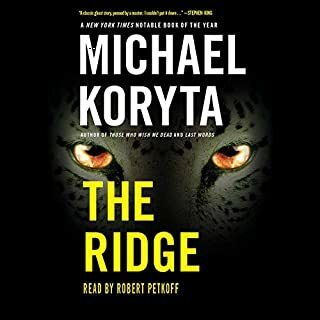 There were some pretty good parts to this book, but there were also long periods that were really boring, to the point that I almost stopped listening several times. The story picked up during the last couple of chapters where things started to get pretty interesting. No doubt the author has quite a wild and unique imagination leaning towards the supernatural, time bending and the like. 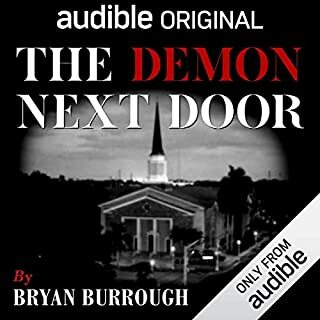 I guess I’m glad I made it to the end, and actually would be open to checking out some of this author’s other audiobooks. 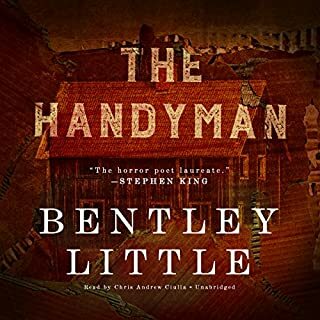 Four solid stars for the narrator who did a pretty good job. Great cover art!!! I am always excited to find a Real Gem of a book included in my Romance Package subscription, and this one definitely fits the category. 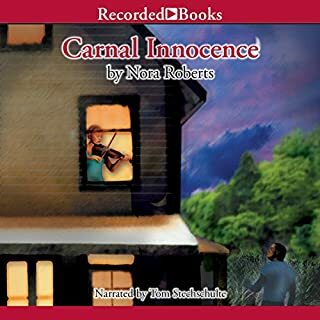 Great story, with lovely, lovely Southern accents narrated beautifully by Tom Stechschulte. Highly recommend! Graphic. Disturbing. Cringeworthy. True. A good listen, captivating and, yes, unfortunately, true. Narrator was okay, not great, but not bad, and suitable for this type of story. A decent listen, short and interesting throughout. Worth a listen. A complete waste of time. Too bad. Glad I didn’t pay anything for it! Utter pompous nonsense. So far removed from any true spirituality. Couldn’t listen beyond the first 20 minutes or so. Some people might like this, I guess, so wouldn’t go so far as to say don’t get it. However, for me, a sorry and complete waste of time and free credit.